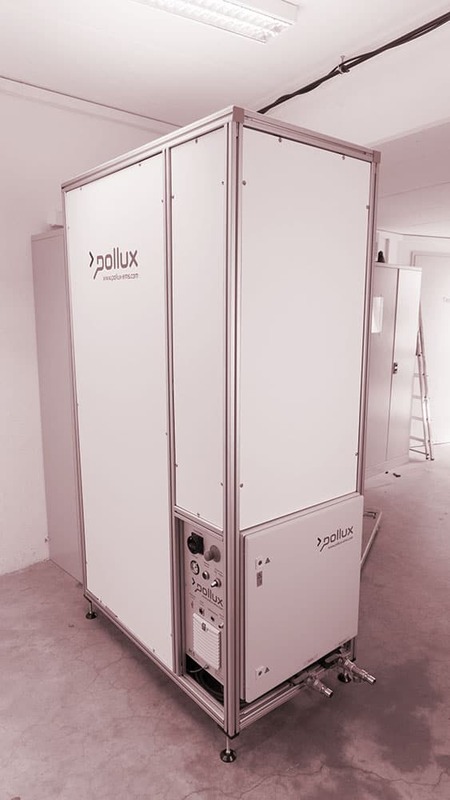 Pollux air conditioners are used for environmental simulation or ambient temperature control of components where standard climate chambers are too inflexible or inefficient. The test specimens are enclosed with an insulating housing, through which the exactly tempered air from the Pollux acs flows. The temperature ranges start at -40 ° C and usually end at about 150 ° C. For special applications, systems with higher final temperatures can also be offered. The systems have either a recooling against an external brine circuit or have a built-in refrigeration compressor for generating the deep freezing.